BAKER'S DOZEN: Why Leave This Until Next Week? Why Leave This Until Next Week? I thought since I have been taking photos of every thing, I might as well post some. 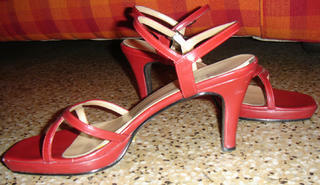 So, these are my newest shoes. 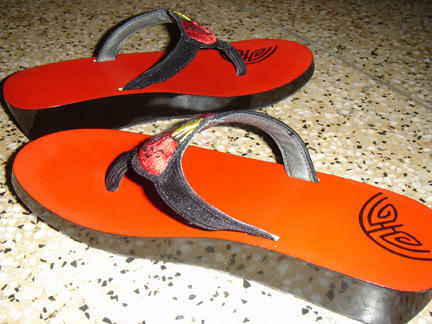 First, Vietnamese Slippers my sister got for me. These are my newest red heels. I love them. Lets ignore my cuticles and that I badly require a pedicure, shall we?